Four-star prospect by Rivals, 247Sports and ESPN … Rated as the fourth-ranked dual-threat quarterback in the country by 247Sports … Slotted as the 12th overall player in the state of Mississippi by Rivals … Placed in the Rivals Top 250 at No. 248 … Four-year varsity letterwinner in football and basketball at North Panola High School in Sardis, Mississippi … Helped the Cougars to the Mississippi state 3A semifinals, finishing the 2018 campaign with a 12-2 overall record … Racked up 3,180 yards through the air on 166 of 275 passing in 14 games for a .604 completion percentage … Averaged 227.1 yards per game, 19.2 per reception, with 37 passing touchdowns … Second on the team in rushing by 40 yards, carrying the ball 115 times for 916 yards and seven touchdowns … Played in the 2018 Alabama vs. Mississippi All-Star Game on Dec. 17 and set to play for USA Football in the 2019 International Bowl … Back-to-back years throwing for 3,000+ yards, also doing so in 2017 … Totaled 3,028 yards on 150 of 236 passing as the starting QB for the Cougars as a junior … Tossed 36 touchdowns and three interceptions for a .636 completion percentage, averaging 216.3 yards per game … Had a career year on the ground, rushing for 1,325 yards on 139 carries, scoring eight times with six games over 100 yards rushing … Dropped the state semifinal game, completing 2017 with a 13-1 mark … Completed his high school career with 40 wins, 9,582 passing yards, 2,922 rushing yards and 143 total touchdowns, including 119 passing … CHOSE ARKANSAS OVER: Georgia, Kentucky, Mississippi State, Missouri, Ole Miss, Texas A&M, Vanderbilt, Baylor and others. 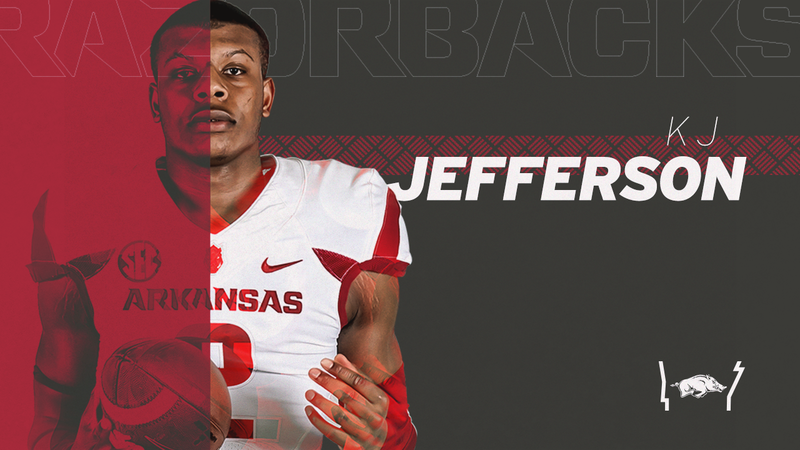 KJ Jefferson … Born May 20, 2001 … Son of Katorie and James Moore … Has one sibling, Jakaelyn.